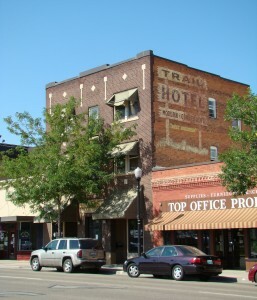 Now known as the location of Farm Bureau Financial Services, this two-story building has housed a number of different tenants since its construction in 1918. 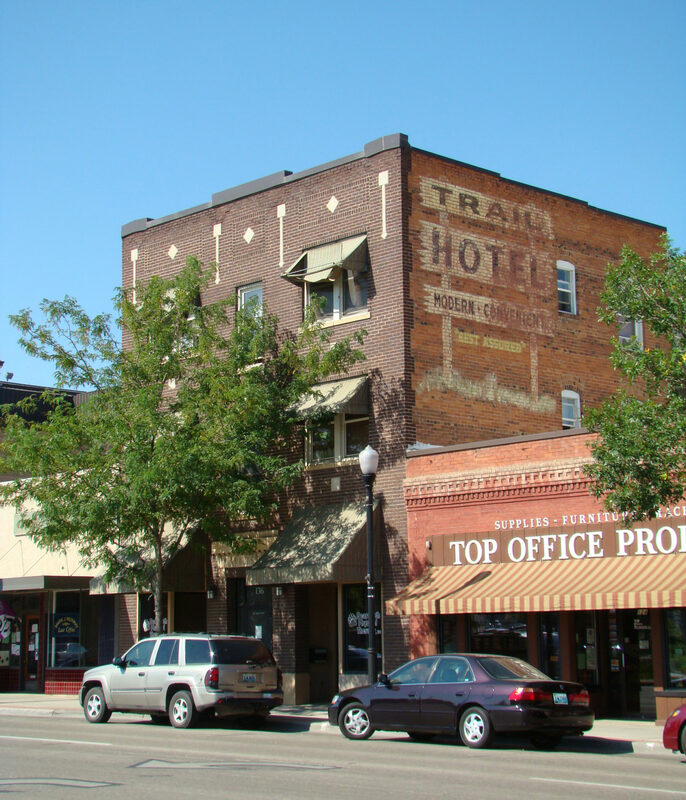 Contrary to the first-story merchant space, the second story of this building has primarily functioned as apartments throughout the years. The first story started out as the office of chiropractor Louis Inglott. The State Employment Office and Rangeland Office Supply were found here in the 1940s and 1950s, and in the 1960s to 1970s this building served as a physician’s office.